Justinian I. (527-565). 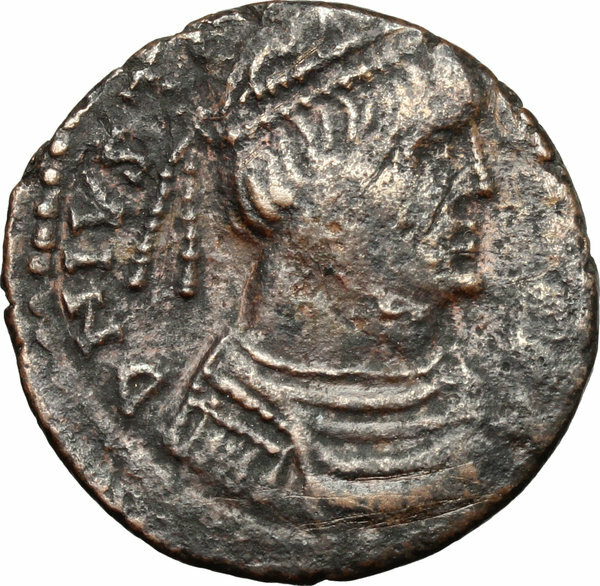 AE Follis, Rome mint, c. 540-542 AD. D/ DN IVSTIN[IANVS PF AVG]. Diademed, draped and cuirassed bust right. R/ Large M between star and cross; above, cross; below, ROMA. All within wreath. D.O. 321 a. MIB 214. Sear 292. AE. g. 8.10 mm. 27.00 R. Rare and in good condition for issue. Brown patina. VF. 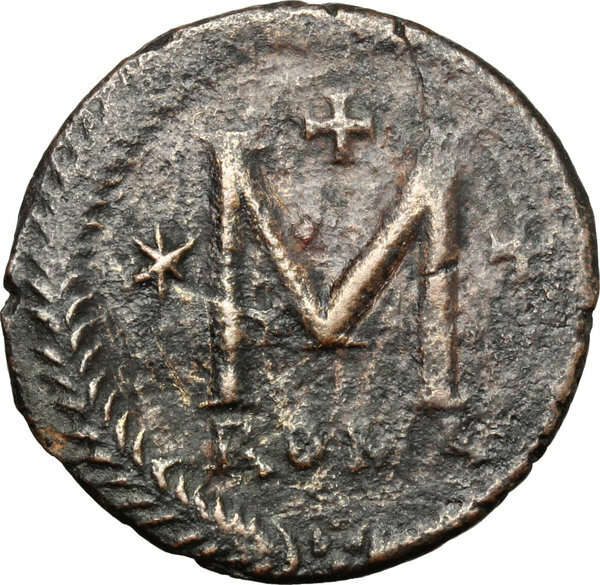 The wreath around the mark of value celebrates the initially unopposed recapture of Rome in 536 by Belisarius for the empire, which was followed by the epic siege by the Gothic forces of Witigis from March 537 to March 538 (CNG 61, 2172 note).